Chertsey, UK – August 17, 2009 – Today, Ubisoft announces the fifth iteration of the highly acclaimed submarine simulation series with Silent Hunter® 5. Developed by Ubisoft Romania, Silent Hunter® 5 is the next installment of the best-selling submarine series of all-time and will be available for the PC in early 2010. 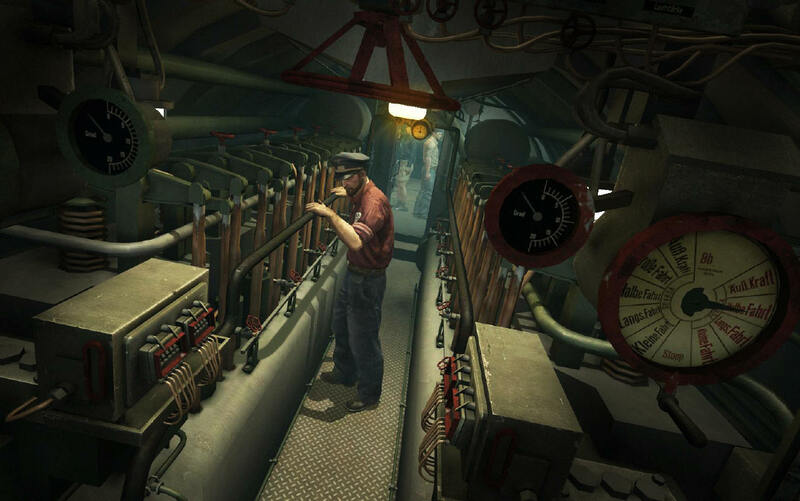 Silent Hunter® 5 ventures into uncharted territory and takes players behind the periscope of a German U-boat to take on the Allied Forces in famous battles across the vast Atlantic Ocean and Mediterranean Sea. For the first time in the history of the series, players can live the life of a submarine captain from a first-person view and lead a crew in a critical campaign. Silent Hunter® is the most award-winning submarine series of all time, with nearly 1.5 million copies sold worldwide. The previous release in the franchise, Silent Hunter®: Wolves of the Pacific, made a lasting solid impact on the franchise’s growing fan base after it was released to worldwide critical acclaim, including being named 2007’s “Simulation Game of the Year” by PC Gamer. • VIEW AS A CAPTAIN: Walk through highly detailed submarines in the new first-person view and access every part of your U-boat. • BECOME A REAL LEADER: Interact with your crew, watch them perform their daily jobs and experience the tension and fear inside the U-boat through the new advanced order system. • WAR STRATEGIES: Choose your own strategy and select your targets with a new objective-driven, dynamic campaign. • ENEMY REACTIONS: Open new locations, upgrades and resupply possibilities, while the Allied ships adjust dynamically to your approach. Your actions will directly impact the evolution of the campaign. • NEW USER INTERFACE: Prowl the waters with a brand-new user interface. Now, every beginner can successfully command a sub while remaining free of confusion. In expert mode, experienced players will be provided all the necessary information and controls to command the sub completely on their own. • CINEMATIC EXPERIENCE: Experience the most realistic and immersive Silent Hunter ever created. 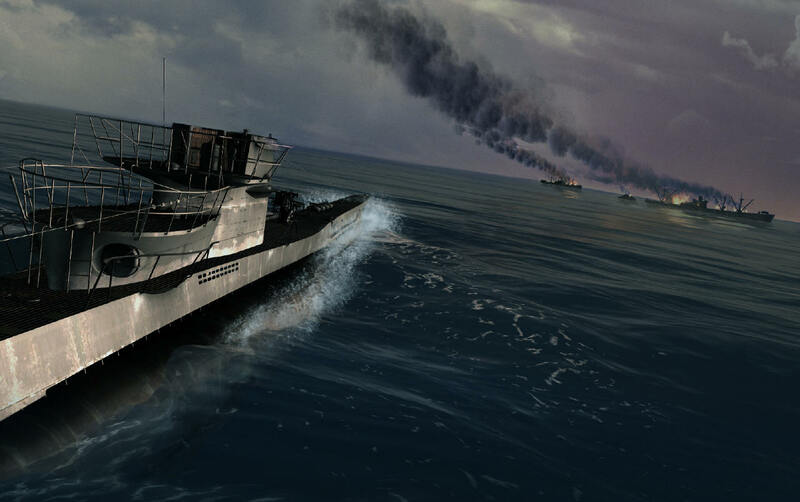 Improved environment graphics create a powerful level of immersion as you operate authentic, highly detailed U-boats and fight against surface ships. Silent Hunter®5 is scheduled for release in early 2010. Ubisoft is a leading producer, publisher and distributor of interactive entertainment products worldwide and has grown considerably through a strong and diversified line-up of products and partnerships. Ubisoft is present in 28 countries and has sales in more than 55 countries around the globe. It is committed to delivering high-quality, cutting-edge video game titles to consumers. For the 2008–09 fiscal year Ubisoft generated sales of 1.058 billion euros. To learn more, please visit www.ubisoftgroup.com. © 2009 Ubisoft Entertainment. All Rights Reserved.Silent Hunter, Ubisoft, Ubi.com, and the Ubisoft logo are trademarks of Ubisoft Entertainment in the U.S. and/or other countries. Video material furnished under license by and copyright © PeriscopeFilm.com and used with permission. Last edited by Onkel Neal; 08-17-2009 at 03:51 PM. Thx Neal This sounds really exciteing. If it's delivered as advertised. This is BIG.
. I CANT WAIT SO LONG! It is nice that everything will be animated so the sub will feel alive but i hope there will be full german audio since the trailer was like i was watching something about sh4.Atleast to me it seems the only good thing this game will have above gwx4 (or atleast as i expect it to be) will be the fully animated enviroment. It brings somehow mixed feelings in me. shack News has a few more pics over here. Sweetness, I can't wait to get this. Quick to the computer-part selling websites so I can upgrade my system so I can run this game!!! Any Computer Specs been posted ? I doubt hardware req will be posted any sooner than 1-2 month before the game realeases but who knows. Hoorah! And Cheers for UbiSoft Romania! After watching the Trailer will I buy SH5 ? For the first time in the history of the series, players can live the life of a submarine captain from a first-person view and lead a crew in a critical campaign.